Sneha Banerjee is a Post-Doctoral Scholar at the CSH. Previously, she was at the Department of Social Anthropology and Cultural Studies, University of Zürich, as a postdoctoral fellow with the Swiss Government Excellence Scholarship during 2017-18. She completed her PhD in 2016 at the Centre for Comparative Politics and Political Theory, School of International Studies, Jawaharlal Nehru University (JNU), New Delhi, India. She received the University Grants Commission Junior Research Fellowship (UGC-JRF) from 2010-15. Her doctoral research deploys a feminist lens and focuses on the emergence of the phenomenon of commercial surrogacy in India as an industry aided by reproductive technologies and a permissive legal environment. 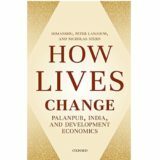 Her thesis draws upon primary research that she conducted in Delhi and Mumbai in India (during 2014-15). 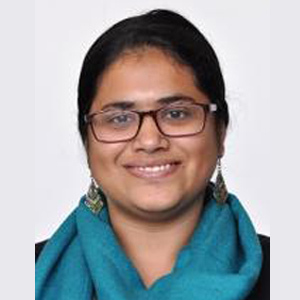 Sneha has also taught Political Science to undergraduate students at the University of Delhi during 2012-13 and has worked with the New Delhi based feminist organisation, Sama Resource Group for Women and Health as a Project Coordinator during 2016-17. At Sama, she was involved broadly with research and advocacy on Sexual and Reproductive Health and Rights (SRHR) and particularly with Assisted Reproductive Technologies & surrogacy. Her current research at the CSH aims to critically analyse the regulatory attempts of the Indian state with regard to commercial surrogacy which shifted gears from an approach of legalisation to that of prohibition recently. She seeks to trace this trajectory of regulatory engagement with commercial surrogacy as an instance of ‘out of place’ reproduction, which offers keys to understanding how states regulate reproduction and reproductive labour.